Tatum has both industrial and small-business experience. She worked in marketing and external relations in a language school in Surabaya for over 7 years while also grew a family business in retail. However, she always has the passion in education sector, and decided to pursue a Masters of Education in 2006. She joined Binus International in 2010 as Development Coordinator, working in curriculum design and professional development for lecturers. She joined the International Business program at the same time, and teaching Research Methodology and Managing across Cultures. She was appointed as the Head of Learning Development in 2012, working closely with Head of Programs in the curriculum and pedagogical development of Binus International. 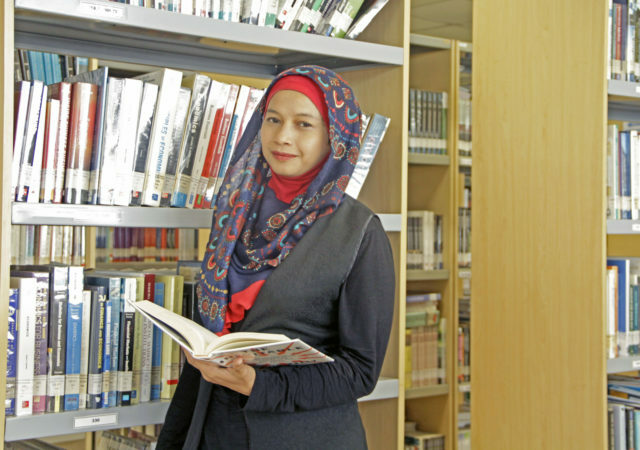 She received the New Zealand ASEAN Scholarship in 2015, and completed her PhD in Education in the University of Auckland in 2019. Tatum’s research interests are academic integrity, professional development in higher education, human resources management, and undergraduate skills. Her dominant research methodology is qualitative and mixed methods. Researcher in INDOPED Project, an European Union project testing the implementation of European teaching and learning methods in Indonesia. Adiningrum, T.S. (2015). Reviewing plagiarism: An input for Indonesian higher education. Journal of Academic Ethics, vol 13 (1), pp. 107-120. Adiningrum, T.S., Wihardini, D. & Warganegara, D.L. (2013). Awareness or understanding? A case study of assessing Indonesian academic staff understanding of plagiarism. Education and Society 31 (1) pp 69-81. Adiningrum, T.S. (2012). Psychic distance in international business: An outdated concept?. Telaah Manajemen: Jurnal Riset dan Konsep Manajemen vol 7 (2), hal. 165-177. Adiningrum, T.S. & Kutieleh, S. (2011). Understanding and managing plagiarism between East and West. Journal of Academic Language and Learning, 5 (2), pp. A88-A98. Adiningrum, T.S. (2011). Deliver it right: The importance of communication skills to 21st century educational leaders. Telaah Manajemen: Jurnal Riset dan Konsep Manajemen vol 6 (1), hal. 79-86. Adiningrum, T.S. (2015). Para-Academic Development: Engaging Part-Time Faculty in an Indonesian Private University in Developing their Teaching, paper presented at the Postgraduate Symposium, Faculty of Education and Social Work, the University of Auckland, New Zealand. Ramadhan, A.S & Adiningrum, T.S. (2014). Methods Development of Indonesian Research in Business and Management Published in National Accredited Journal (2002-2010), paper presented in 12th Euroasia Business and Economic Society, Singapore. Adiningrum, T.S & Kutieleh, S. (2012). Understanding plagiarism: Only if I have to…, paper presented in the 9th International Conference on Language, Development and Identity, Bandung Institut of Technology, Bandung, Indonesia. Adiningrum, T.S., Wihardini, D. & Warganegara, D.L. (2011), Exploring Plagiarism Awareness and Its Impact on Assessment Design: A Case Study of an Indonesian Business School, paper presented in the 37th International Association for Educational Assessment Annual Conference, Manila, the Philippines. Adiningrum, T.S & Kutieleh, S. (2011). How Different Are We? Understanding and Managing Plagiarism between East and West, paper presented in the Association for Academic Language and Learning Conference, Adelaide, South Australia. Adiningrum, T.S. (2009, 13 June). Mendidik Masyarakat Indonesia Sadar Plagiarisme (Educating Indonesian to be aware of Plagiarism). Kompas newspaper. 2013 National Seminar and Discussion – Dealing with Plagiarism in Indonesian Higher Education Institutions. Funding for professional development activity with Suparto. Alumni Reference Group, AusAID. 2013 Internationalisation of Indonesian Higher Education Institution. Seed funding research grant with Fatimah Husein. Alumni Reference Group, AusAID. 2011 Exploring Plagiarism Awareness and Its Impact on Assessment Design: A Case Study of an Indonesian Business School. Mentoring Research Grant with Diah Wihardini and Dezie Warganegara, as mentee. BINUS International. 2013 Methods Development of Indonesian Research in Business and Management Published in National Accredited Journal (2002-2010) Mentoring Research Grant with Ahmad Seiichi Ramadhan, as mentor. BINUS International.